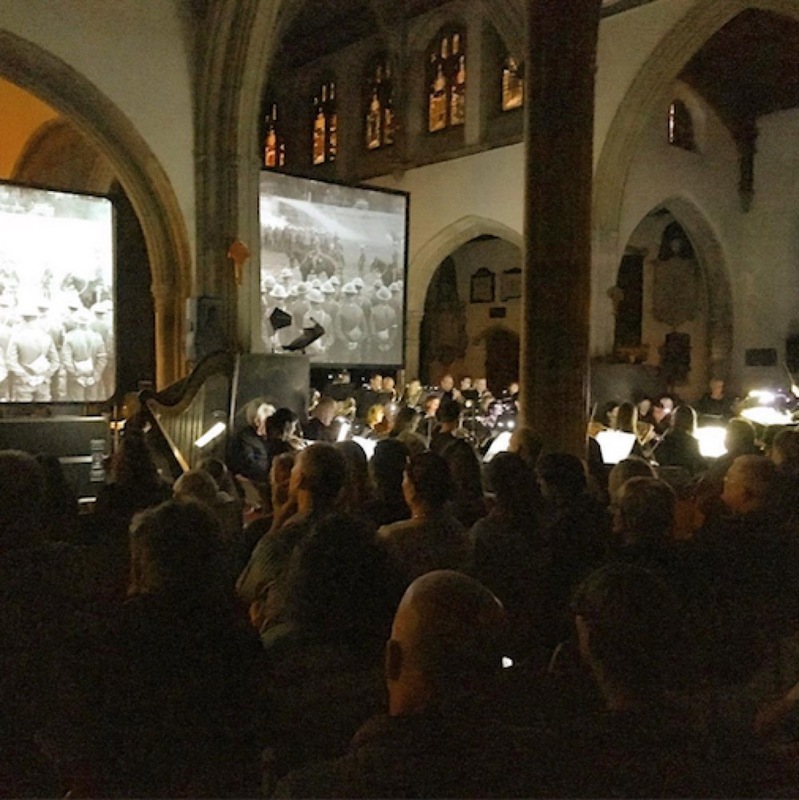 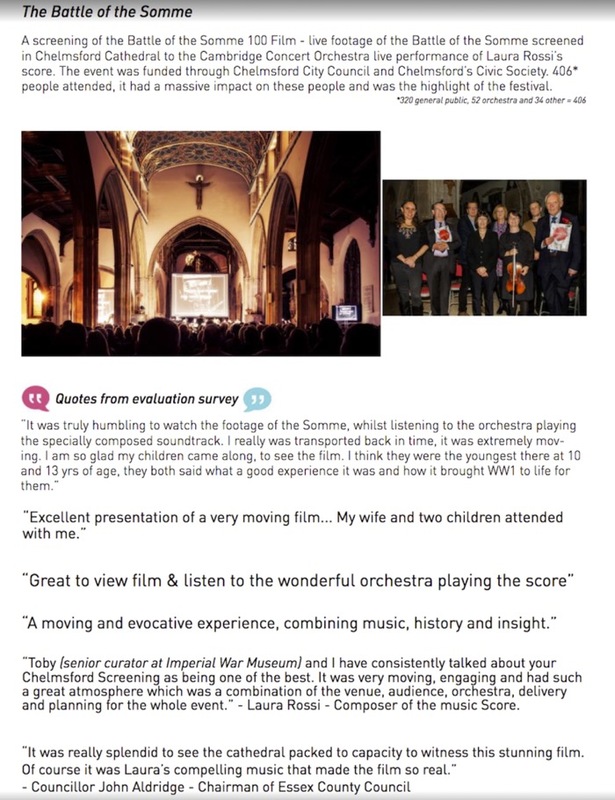 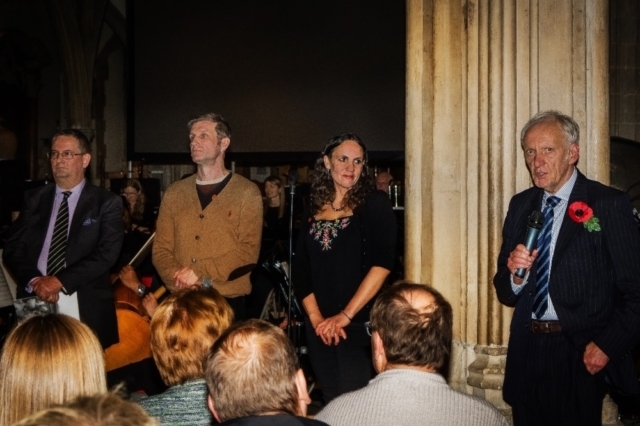 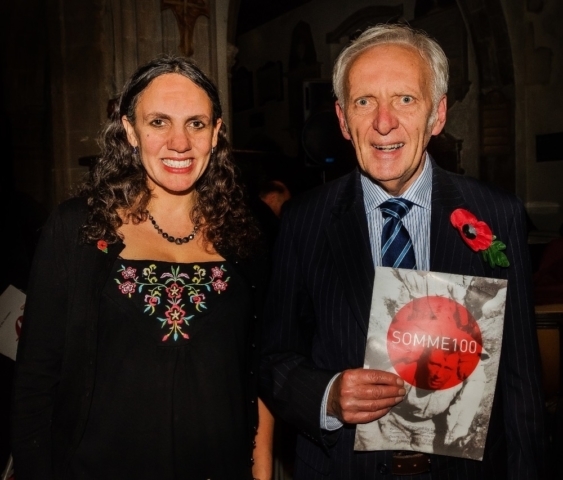 The live screening by Cambridge Concert Orchestra conducted by Suzanne Dexter-Mills was put on by at Chelmsford Cathedral by Chelmsford City Council, Malcolm Noble and Chelmsford Ideas Festival. 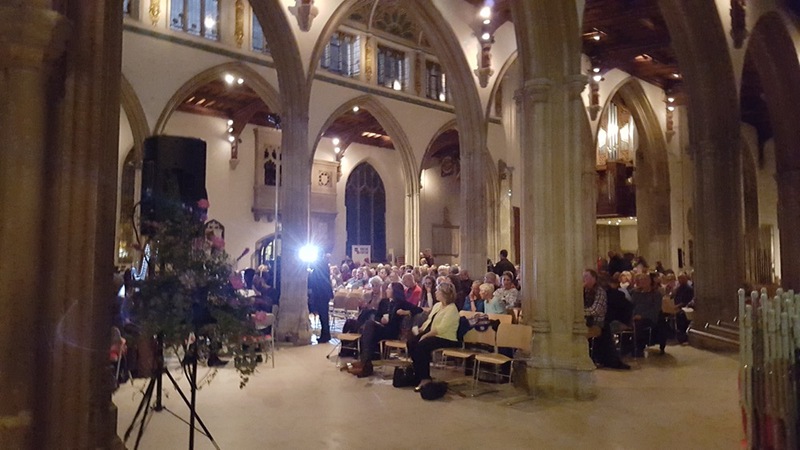 406 people attended and it made a huge impression and was the highlight of the festival. 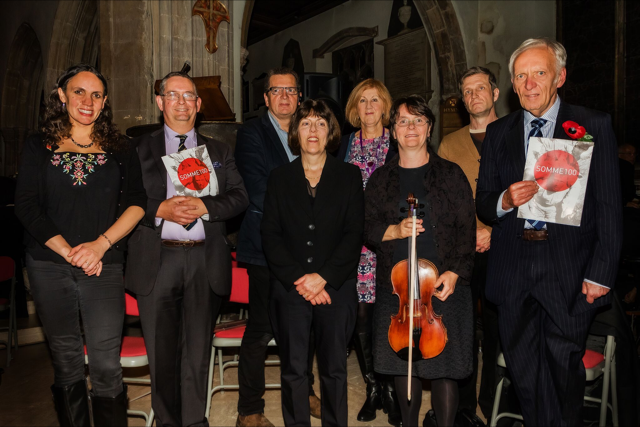 There was a pre-concert talk and Q&A session with Laura Rossi, Dr. Toby Haggith (senior curator at IWM) and Ian Hook, Curator at the Essex Regiment Museum. The performance ended with the Last Post.